​Sergio Ramos and Real Madrid have found themselves at the centre of an anti-doping scandal, in the latest round of Der Spiegel's reports from Football Leaks, which claim that Ramos failed a drugs test after the 2017 Champions League final. Ramos played a key role in the final, captaining his side to a 4-1 victory over Juventus and lifting Los Blancos' twelfth Champions League title. However, Der Spiegel report that Ramos failed a drugs test after the final – but faced no consequences or repercussions from UEFA, after the incident was accepted as an 'administrative mix-up'. It's understood that a urine sample provided by Ramos contained traces of a prohibited substance called dexamethasone. WADA's rules are clear – the substance may be taken, but only with a report from the team's doctor. In this instance there was no note of Ramos being given dexamethasone on his testing report – but Real's team doctor told WADA when asked for clarification that he gave Ramos two injections of the substance the day before the final and had simply noted down the wrong drug in the doping report that was signed by both himself and Ramos following the final whistle. He blamed the 'euphoria' of the game and some mitigating circumstances; specifically the presence of Spain's king Juan Carlos and the country's prime minister in the doping control room. UEFA responded well to the account given by the doctor, as the injections the doctor had admitted to giving Ramos matched up to the amount of the substance in his system. UEFA closed the case, but not without warning the club to be more cautious in future. 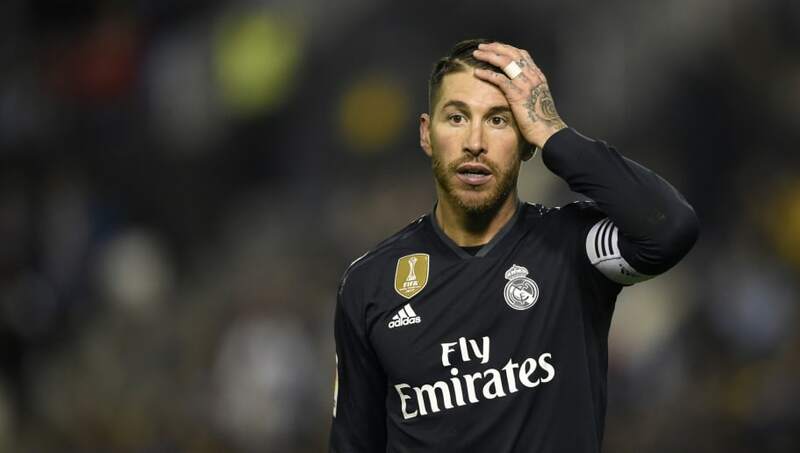 Ramos is also accused of a more routine subversion of doping regulations, insisting on showering before his post-match doping test after Real's 2-1 win over Malaga last April despite a 'warning' from the anti-doping officer. Der Spiegel report that Real were informed of this potential breach of protocol – which can lead to a ban of up to four years – in late September, but Spanish anti-doping authorities have since said: "In the present case, the result of the investigation proceedings did not establish any fact that would allow concluding that there was an act constituting an Anti-Doping violation." Real have released a statement on their website insisting Ramos has never broken anti-doping regulations, and reaffirmed that WADA experts were satisfied with evidence given.